Work in well ventilated rooms during machining or heating processes. Provision of dust safety suction systems during machining processes. 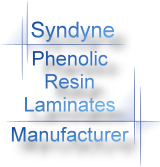 Before any punching process, the laminate should be preheated by convectional hot-air or contacting flame. Boiling in water prohibited. Due to laminate feature of the products, processing direction should be vertical to laminates. Processing parallel to laminates may easily cause de-lamination between layers, shown as figure 1 and figure 2. Use carbide tools while processing. For processing efficiency, always keep the knives of tools sharpened. Do not use cooling agent or water to cool down the abrasive heat which occurs during processing. Discoloration in the products after long term storage is a normal chemical feature. Unsuitable storing conditions results in inferior quality products, e.g. sunlight may rapidly discolor products, high temperature and moisture may cause a decrease in electrical performance and warping or twisting. To prevent moisture or sunlight damage, the products should be stored indoors in cool and dry conditions. For long term storage, the products should be placed in flat carriers horizontally, with a moisture-proof protecting material between products and carrier, shown as figure 3 and figure 4. For short term storage before processing, the products could be stored at inclined carrier, but the carriers should be moisture-proof and have a smooth surface, shown as figure 5 and figure 6. Wear protective gloves to prevent injuries from the sharp edges of the laminate. Use personal dust masks and goggles in dust exposures. For more information, a Material Safety Data Sheet (MSDS) is available upon request. For the disposal of waste material, follow government regulations. Waste materials may be buried in a environmentally certified disposal site or incinerated under controlled conditions. The heavy metal content of this product tested by the Environmental Affairs Department is in accordance with the National Standard (Case Number: ET88D0181). Copyright © 1993-2019 www.syndyne.com.tw All rights reserved.